He didn’t look up “And you are sure there was nothing between them?” her husband raised his eye brow. “No, you shouldn’t. Why should you? “Of course I shouldn’t. He only brings pain to the poor girl.” She handed him the bottle of darker blue paint. “He is a better man than you.” Omolabake shouted. “What did you say? Demola asked “I said he is a better man than you.” Demola slapped her left cheek. “Well then, actions speak much louder” She gave a bitter laugh. He raised his hand his hand to hit her again but this time she caught it before it reached her face. “I’m done with you, Demola” she took a deep breath and with what was left of her dignity. She walked away. She put off her phone. “So you mean. She has been drowning herself” Lekan wiped the side of his mouth with his napkin. the date had been his wife’s idea. The restaurant was classy and homely. “Yes and she has just taken matters into her hands by taking that vacation. You can imagine, Otunba has not approved of her vacations in the last three years. You know, since Giodeon…” Morinsola dusted off invicible dirts off the skirt of her olive green mermaid dress. She chewed on the chocolate dessert “Lekan, I was wondering”? “Dear, whose baby is this?” He asked as he continued to stare at the picture of the newborn in his hands. She opened the door. They entered into the dark room. She turned on the lights. After taking in the details, she said “Tell her to hang on” She ended the call. Dialed her Dad’s number left a voice note. Only God knew where he could be. She stood by the window. She saw all the motions around her but was oblivious to the happenings. She called Morinsola, explained the situation of things. Morinsola promised to stop by on her way from work. She dialed her Aunt Olubunmi’s number and updated her about the development. Her aunty had left the country for Italy since the delivery of her son’s wife. She wondered who else she could call. Did you tell anyone yet about Omolabake? Special appreciation to Mayowa Akande for his picture. Calm down.. Granny o should be fine. She hasn’t finished her duty on earth yet. She can’t go now dear. Thank you for reading Jamal. Wow, Rex… I’m pleased to hear this. Thank You! Omorinsola!, I’m still very interested in your case o.
I actually thought it was Morinsola that was being rushed to the hospital. what will happen to their relationship? Morinsola, why should she keep such a huge secret? I understand it’s not easy but…it is well with you and your husband (and the young baby too). OMOLABAKE OOO! You finally took that bold step! Demola is gone and gone for good! Never again! Sweet Granny O!!! Gideon will pray for you and you will be fine! 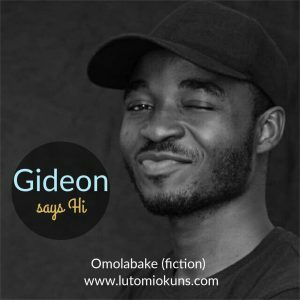 Gideon dear! keep doing God’s will. Mayowa Akande is a fine somebody!!! Thanks for the picture! Lutomi Modesola, see you on Friday! You are amazing! I love you! Thank you Moses, for reading. 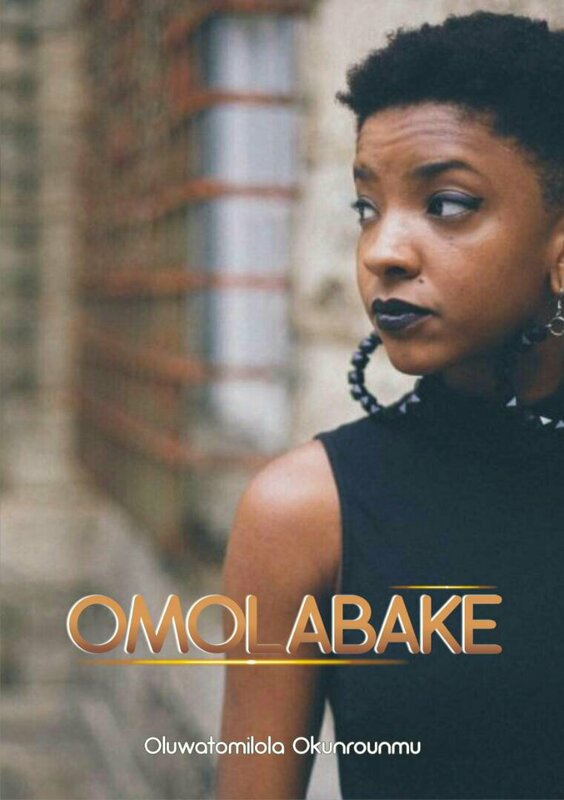 So happy for omolabake, she finally took the bold step. Morinsola a wise and secretive woman. Now that things are taking shape gradually in ur marriage, the long KEPT secret needs to be spilled OUT…. Granny O can’t die now, not at this crucial time in omolabake’s life, she still got a lot to do….